What’s on: Visit Dublin this Christmas season. Christmas is such a special moment of the year and we all love this magical atmosphere. Christmas in Dublin is something you should see once in your life, the city is illuminated, there are decorations everywhere and you can really feel the happiness among the people. The city is very dynamic during this season, here are some events you can go to during Christmas. 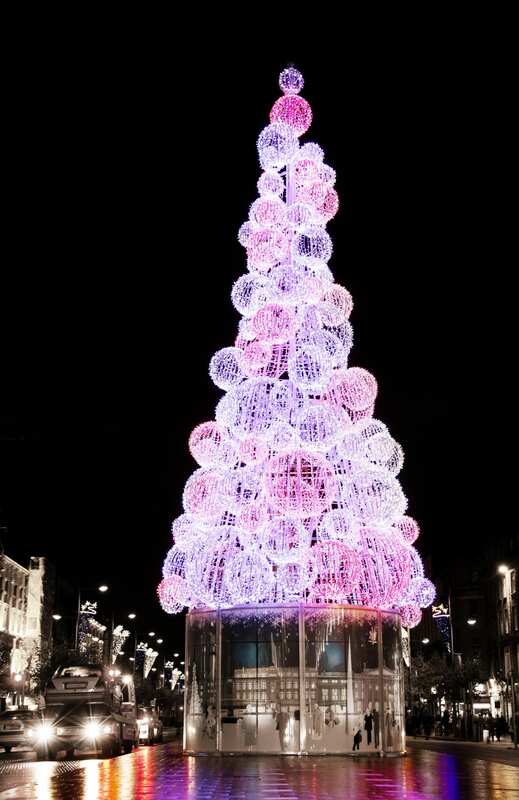 There will be a new format this year for switching on the street lights and the 40ft tree on O’Connell St. This year there will be a procession of light that will illuminate the entire city with one magical Christmas event on Sunday 19th November 2017 starting at 5:30pm. There will be two processions led by performers LUXe, one will start on Mary Street and another from Grafton Street, minutes away from the O’Callaghan Davenport. The two processions will join together on O’Connell Street, where the Lord Mayor of Dublin will switch on the lights. The Smithfield Lights event is going to be huge this year. This is the main family Christmas event in Dublin and a must for all families looking for a night of fun and festive entertainment. There will be a wide range of children’s festive entertainment including face paints, workshops, a vintage carousel and an outdoor screening of classic Christmas movie The Snowman. Families can enjoy market stalls with a range of delicious foods, arts and crafts. The main tree lighting event will take place at 7:10pm, with VIP Santa himself in attendance. The 9th December is Dublin’s medieval gem Christ Church Cathedral, The Chamber Choir Ireland conducted by Paul Hillier will present an Irish Carol, Christmas Trees and a Rose. Chamber Choir Ireland’s annual Christmas performance is a festive highlight for many and is the perfect way to celebrate the Christmas season with loved ones. Early booking is advised to avoid disappointment. For its fourth year, the New Year’s Festival Dublin has announced two spectacular days of imagination and wonder on 31st December and 1st January 2018 with Irish and international performers. The headline of this year is Kodaline, gather at the Custom House to enjoy the NYF Dublin’s Midnight Moment countdown and New Year’s Day celebration this year. The perfect location for your stay will be in one of the Grafton Street hotels.